I am one those people who does not like to throw away any food so I am always trying to find ways to use all fresh produce before it goes bad. I find it so annoying when a recipe calls for 5 leaves of basil but you can only buy a whole bunch. Since basil has a short life, I almost end up throwing away half the package after using what I need. I made some naan bread pizza with basil the day before and had plenty of basil left over. 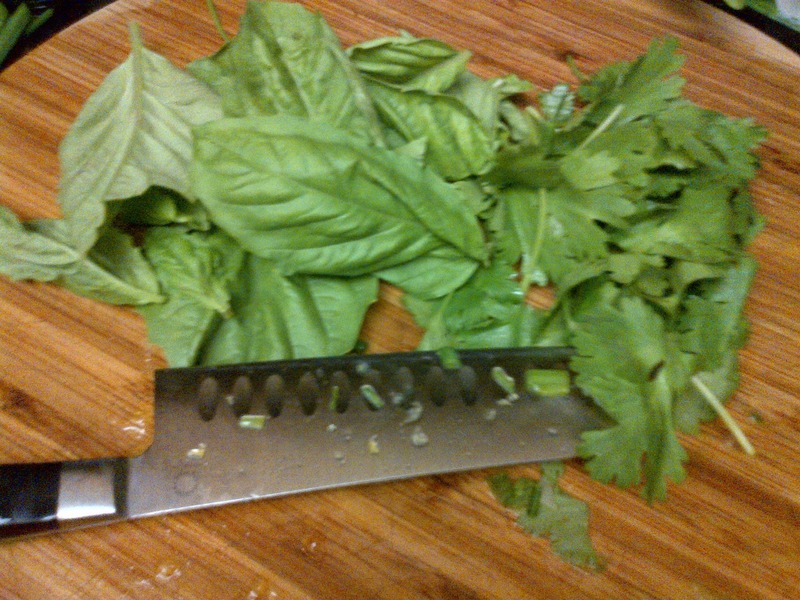 I was determined not to throw this basil away so I had to find another recipe that called for fresh basil. 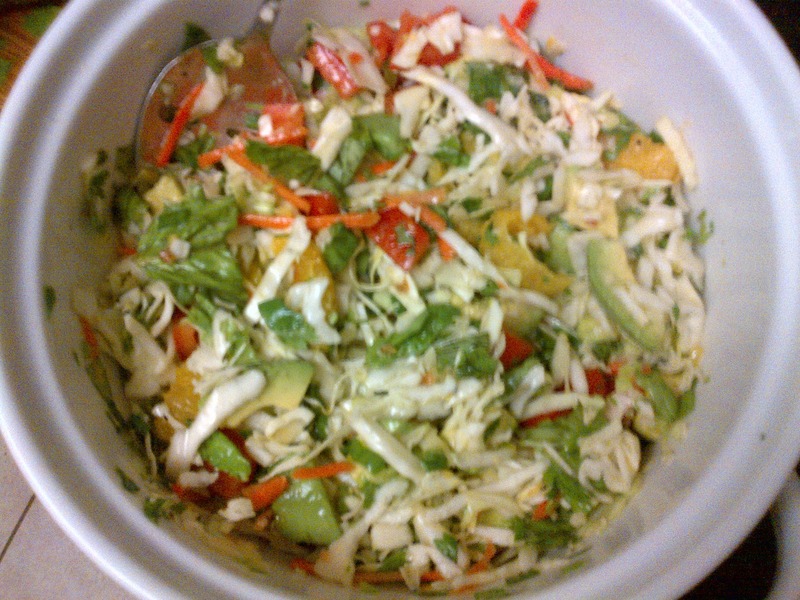 I got an idea to make a slaw with herbs from Martha Stewart online. Thanks to Martha and her culinary genius my basil was saved from the trash can. I used her recipe as a base and added my own twist to suit my tastes. This is a typical summer dish and I know we are in the middle of winter so bear with me because I refuse to throw away my basil. After all, this girl is on a budget. 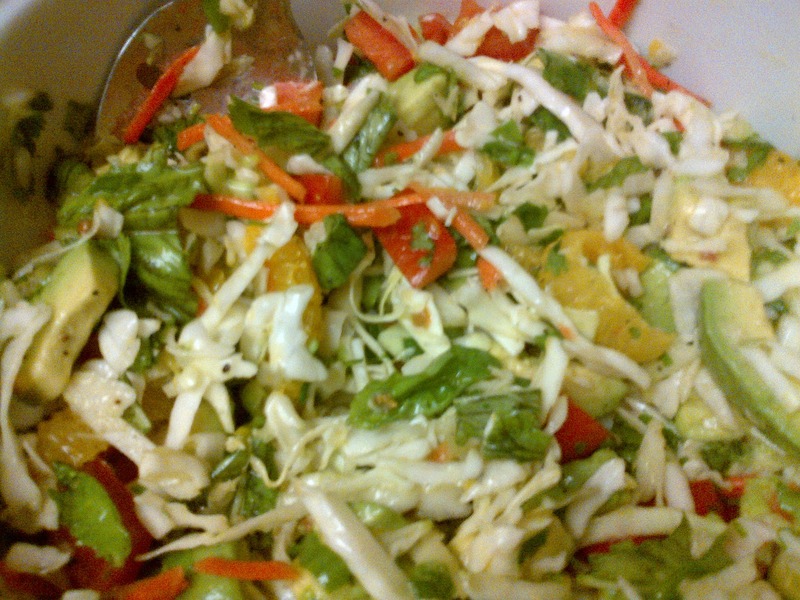 Below are the step by step directions on how to make this easy and tasty slaw. Enjoy! 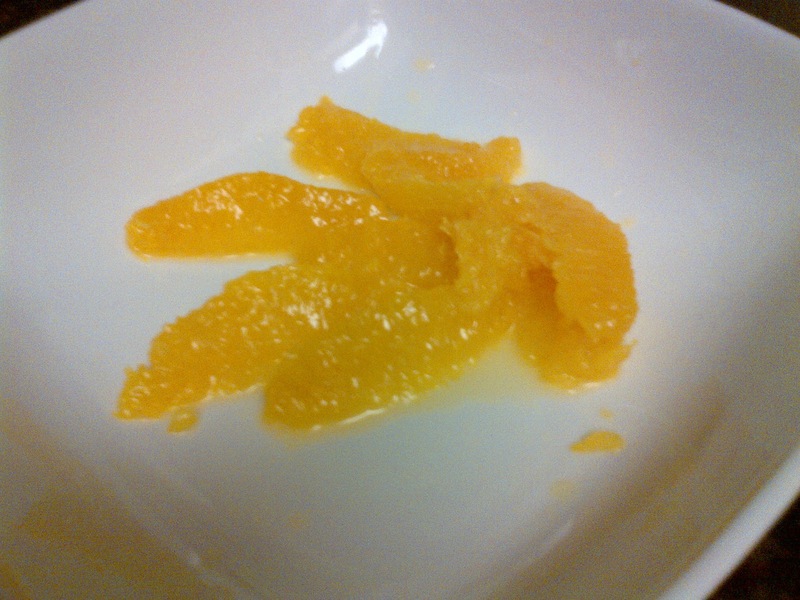 Cut skin off from oranges with a sharp knife then slice oranges along membranes to release segments. 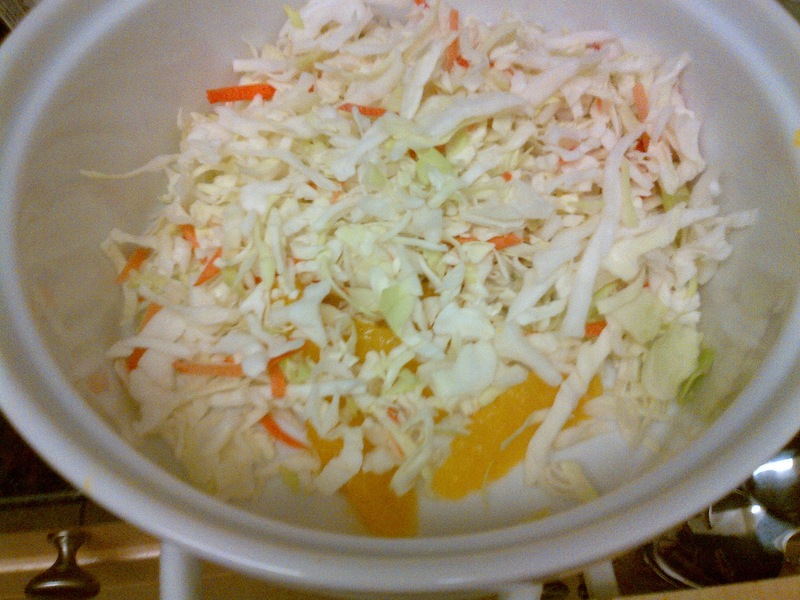 Make sure you do this over a bowl so you can use the juice for the dressing. 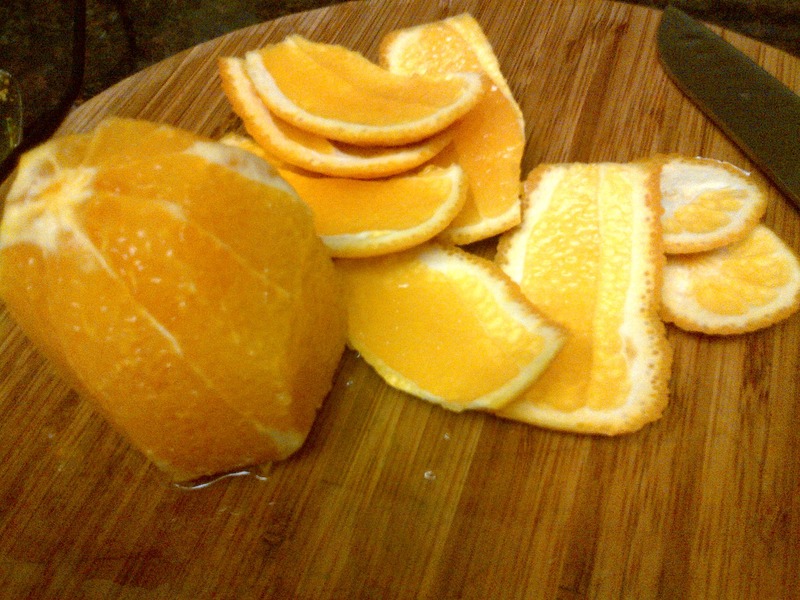 Once orange is segmented, squeeze juice from membranes into the bowl .You should have segments like the picture below. 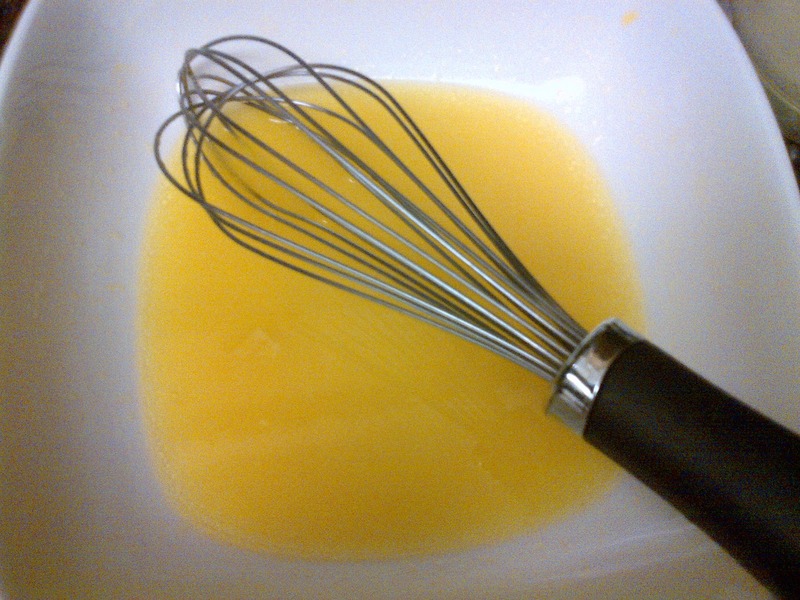 Mix the orange juice, champagne vinegar and olive oil in the small bowl until well emulsified. Let salad stand for 15 minutes before serving for maximum flavor. I served my salad with spicy fried rice and grilled chicken. Trend Alert : The pointy toe is back !